This is a book that actually bears reading twice and you can't say that about everything you read and enjoy. A friend of mine and her husband are in the process of reading it together and then discussing it. She says that their perspectives are totally different because they are identifying with different characters. This book doesn't seem that appealing to me, but I've read and heard such lovely reviews of it that I think I should give it a try. Great review ... I too had somehow avoided reading this book - often if a book is extremely hyped I do. 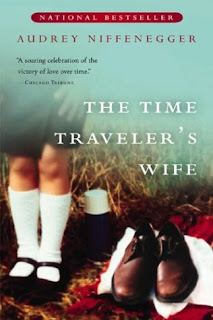 But now I think I will definately add Time Travellers Wife to my TBR pile. So glad you enjoyed this book. It is one of my favorites. I've found this is one people either love or hate. And I agree with TableTalk - it should be read twice. I loved this book even though I had a hard time at first. Just had to get used to the time-travel aspect. Glad you enjoyed reading it! Glad you enjoyed this. I had a little trouble with the structure of the book at first, but once I got past that, I really liked it. I'm new to your site and I too feel like you. If it is very popular I will usually wait until all the hype is over with, because I don't want the chit chat to ruin my experience. However, I also like to read books before they get popular. I love the validation that a book I thought was so great is making it. Do you know what I mean? Then again, if it doesn't and I loved the book...what does everyone else know..I liked it and that's all that counts. Have a great week. I read this book BEFORE I had a book blog, therefore no review, although I might just re-read it before the movie comes out! 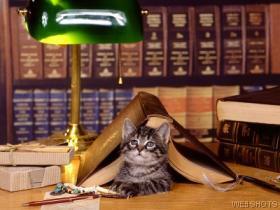 I like the way you introduced the book. It was one I enjoyed very much although, like you, I felt there were some small details left hanging that could have been better explained. I can't wait to see the film! I'm another one of those that doesn't always want to read the book at the height of its popularity. I've had this book on my shelves for a very long time. I don't even remember when I got it. It sounds great, and I really must read it soon. Thanks for the review. I don't want to sound like a broken record, but I also loved this! I reviewed it at http://www.bookconfessions.com/?p=213. I loved this book as well. I found it so refreshingly different, a couple of years ago when I read it. hey, has anyone been one www.pollthepeople.com ??? amongst a very ecclectic list of the top books of all time, niffenegger ranks highly - good to see something other than Harry Potter! i'm working for the site this summer and i just got niffenegger's top five books which will be on the site soon so check up in a day or two! This book held me in its grip - I finished it in 24 hours while on vacation. I kept hoping that the eventuality would not really happen, and read and read like I couldn't wait to find out when he would reappear in her life. WOW - have recommended to all of my friends.